The major objective of this report is to analysis Foreign Exchange Operations of Dutch Bangla Bank Limited. Other objectives of this reports are to know the Foreign Exchange operation of the DBBL, measure the Import, Export & and Remittance performance. Here also focus about the L/C opening process and analyze about the previous and present financial condition of DBBL and present observation and suggestion. 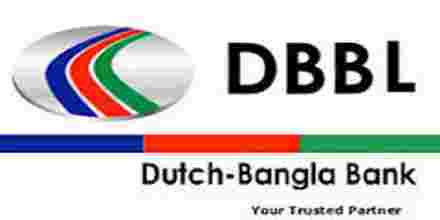 Finally make a swot analysis Foreign Exchange Operations of Dutch Bangla Bank Limited. Remittance plays a significant role for the economic development of Bangladesh and it is considered less volatile source of foreign currency compared with and foreign aid. Formal remittances stood at US$ 7.8 billion in 2007-08, which is equivalent to around 10% of GDP. It is extremely hard to measure the informal remittance flow, but these channels are considered to be almost as much as formal remittance. Formal remittances have been growing at over 10% annually since 2000, due to effective government policies encouraging greater efficiency and confidence in formal remittance payment channels. Formal remittances are equivalent to 56% of export values and play a critical role in providing foreign currency and financing the countries trade deficit. The foreign currency aspect of remittances especially important as Bangladesh runs a trade deficit and is currently suffering from a serious foreign exchange crisis. Growth in remittances is likely to be one of the key factors in the medium run in maintaining foreign exchange reserves and thereby maintaining economic stability. Insurance Certificate. Bill of exchange. In conclusion, Dutch-Bangla Bank Limited is one of the most potential Banks in the banking sector. It has a large portfolio with huge assets to meet up its liabilities and management of this bank is equipped with the export bankers and managers in all level of management. So, it is not easy job to find out the drawbacks of this branch. I would rather feel like producing my own opinion about the ongoing practices in Mirpur Circle -10 Branch. Over the last few decades there have taken place dramatic transformation in the realm of foreign exchange and financing of foreign trade. In the wake of these changes the financial experts have developed a whole range of few ideas and techniques on management exchange rates, investment of foreign exchange reserve and opening up the economy. Currently this sector is becoming extremely competitive with arrival of multinational banks as well as technology infrastructure, effectively foreign trade management, higher performance level and utmost customers satisfaction. Again the advent of a new era of information technology has changed the ways banks handle their foreign exchange related transaction. We know that institutional support is necessary for undertaking international trade and foreign exchange business. On the other hand expertise regarding management of exchange rate is essential for successful operation of foreign exchange related transaction. By undertaking these activities efficiently DBBL will be able to maximize their profit and wealth maximization objectives. DBBL undertake and support foreign exchange business and management of exchange rate in different way. But some improvement regarding exchange rate risk minimization is necessary for handling the competition that arise from competitive financial market, as the foreign exchange division of the has an influential effect to the net operating income and net income of the bank. Recently this division has achieved quite success as they have achieved permission to perform most of the foreign exchange related transaction. But rival among local and foreign banks will make the activities of the bank more competitive in the near future. So the banks have performed the foreign exchange transaction in a more innovative way. So Dutch- Bangla Bank Limited has to re-engineer its plan and reform the service improvement strategy to retain the higher performance level, customer satisfaction and to compete with challenges.